I have been in college for about 5 months now and I thought I should post about my college room. As to be expected most college rooms are very small. Mine is tiny although with the bunk beds it recreates the illusion of more space. At first I did not like the room but it is starting to feel more comfy. I have the bottom bunk and my roommate has the top. 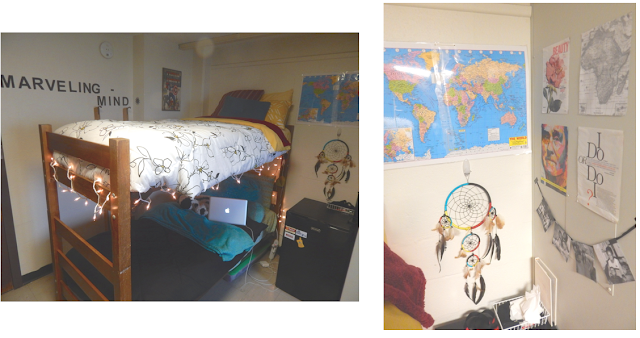 I added the twinkly lights and they really make the room feel magical like you are always dreaming. I am really enjoying our wall art. 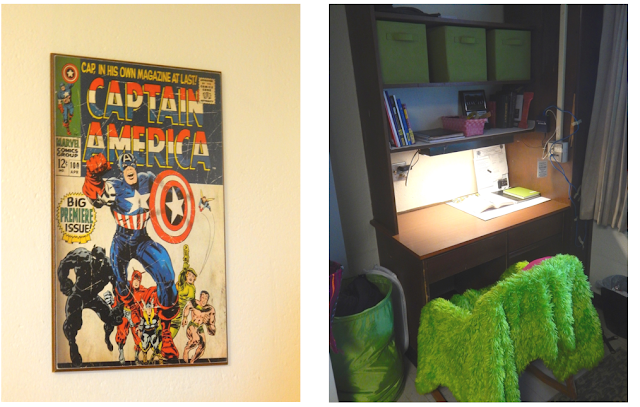 The Marvel Captain America artwork belongs to my roomie and I am in love with it cause I have a soft spot for Marvel comics and movies. Nice room. It reminded me to my last last last roommate's room. What a coincidence!